On August 8, 2012 BBC News reported that Cuba's ban on anti-Castro musicians had been quietly lifted and on August 10 the BBC correspondent in Cuba, Sarah Rainsford, tweeted that she had been given names of forbidden artists by the central committee and the internet was a buzz that the ban on anti-Castro musicians had been quietly lifted. Others soon followed reporting on the news. 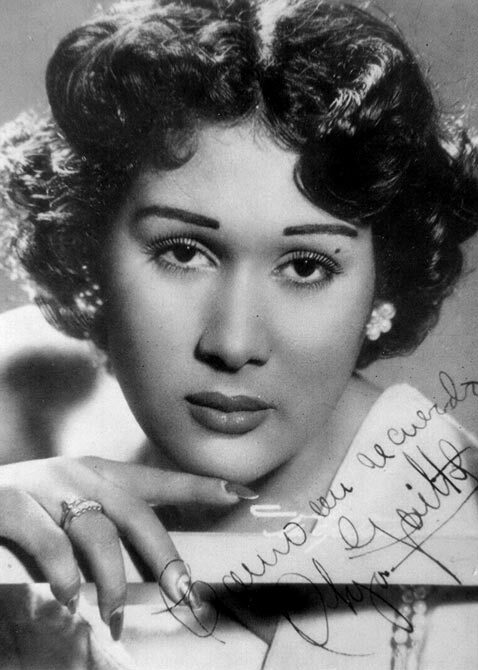 The stories specifically mentioned Celia Cruz as one of the artists whose music would return to Cuban radio. There is only one problem. It is not true. Diario de Cuba reported on August 21, 2012 that Tony Pinelli, a well known musician and radio producer, distributed an e-mail in which Rolando Álvarez, the national director of the Cuban Institute of Radio and Television Instituto Cubano de Radio y Televisión (ICRT) confirmed that the music of the late Celia Cruz would continue to be banned. The e-mail clearly stated: "All those who had allied with the enemy, who acted against our families, like Celia Cruz, who went to sing at the Guantanamo Base, the ICRT arrogated to itself the right, quite properly, not to disseminate them on Cuban radio "
Cuba's cultural genocide continues in 2012 and icons of Cuban music such as Celia Cruz and Olga Guillot remain banned from the airwaves and must be discovered on the black market and in the underground. The Castro regime has demonstrated a great ability to distract attention from the real news in the country with non-stories such as this one. It is one of the tools that they have used to remain in power. Unfortunately, when an activist on the island succeeds at exposing the true nature of the regime and exposes the smoke screen of distraction and demands concrete progress they are terrorized, imprisoned, become suddenly ill and die, or die in a car "accident." Sadly international journalists on the ground in Cuba do not report on these patterns because if they do they are expelled from the country by the dictatorship as many have been over the years for even mild critical reporting of the regime. Nevertheless, one needs to ask reporters that published articles that the music of Celia Cruz and Gloria Estefan would be heard over the airwaves in Cuba now that the regime has confirmed that is not the case will they print a retraction or a clarification? Or will the dictatorship get away with using the press once again? 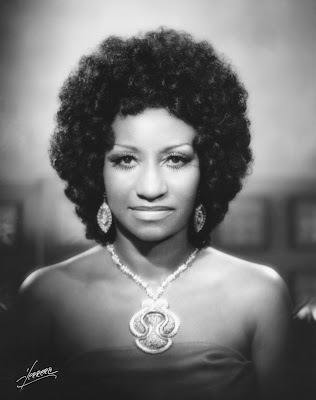 Celia Cruz, since I first heard her as a teenage musician, has been one of my five favorite singers in the world. First, it was the voice, and its fiery connection to African sensibilities. When I saw her picture a couple years later I was smitten. She was much older, and her body had weight to it. When I finally saw her live onstage in DC a little before she died you couldn't pull me from where I stood! So powerful was her presence and overwhelming the sound coming out of her. The royal qualities of Celia Cruz joined everyone together and whether it was the first time you'd heard her music, or not the joy received could not be contained. Even the crippled shook to the rhythms. In answer to one question; yes they will continue their practices. It is has worked thus far! The people are subjugated, silenced, and appropriately afraid. Truth telling is not without its consequences in dictatorships. Not living in Cuba for any length of time, and a US citizen leaves me outside of the emotional hurdles a Cuban citizen wades through to live their lives with any freedoms, or advantages they have, and if some one is compelled to resist the government what that means to them on that island I can only guess at. I know to understand freedom, or the notion of freedom one needs to understand his/her denials. In that cultural context I can only ask, "When is enough enough?" Any news on the ban been lifted from our dear Celia, Willy, Gloria, their music in Cuba, playing freely in the radio and to be heard thru out the island? Thanks Barbara 7-24-2015... Our Cuban flag flies in Washington, DC, USA while I didn’t hear thank you Obama, nor Cuba, nor thank you USA, I did hear chanting of castro, castro :( sad very sad and the intentions show clearly.